It was confirmed earlier that Moto G4 will launch in India on 17th May, but it was unclear at that time whether Motorola will launch the G4 Plus or not. But yes, Moto G4 Plus will hit the shelves soon as we got the first look at the Moto G4 Plus. 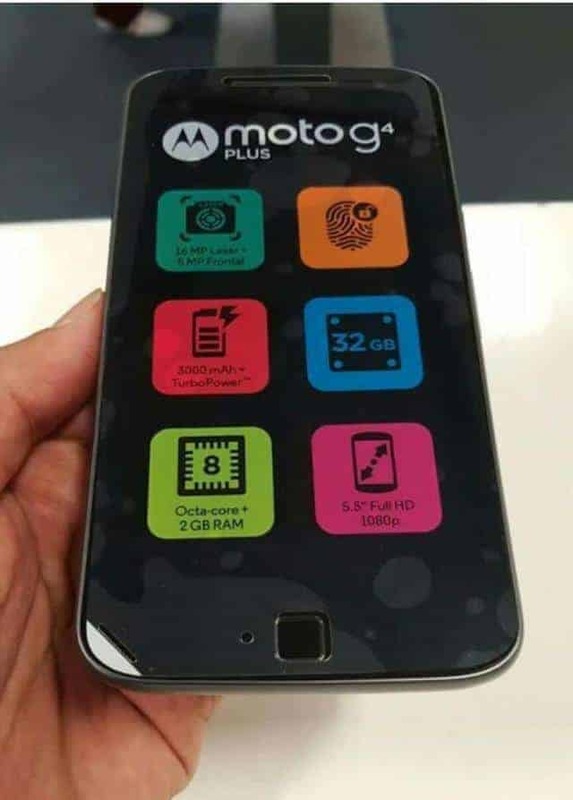 The Moto G4 Plus looks pretty nice and looks like the specs are similar to what we heard via leaks and rumors. There is a 16MP rear camera and 5MP front camera. This time, there is a physical home button on the Moto G4 Plus, which also doubles as a fingerprint scanner. The phone sports a 5.5-inch 1080p display. The phone is powered by an octa-core processor, coupled with 2GB of RAM. However, we’re not so sure about the exact processor details yet. There is a 3000mAh battery under the hood and seems like the Moto G4 Plus supports Turbo charging as well. The back of the phone is just quite like the other Motorola smartphones, but it looks a little flat compared to the older Moto G. There is the camera module, below which there is dual tone LED flash and there is laser as well above the camera sensor. Below the camera we can see the traditional Motorola dimple and remain part is clean. That’s all the information we have right now, join us on Facebook for more updates.